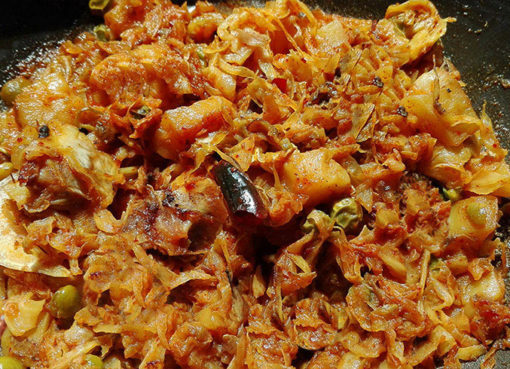 Known as ‘Echor’ or ‘Jack fruit’ in Bengali and is very popular vegetable during summer season. 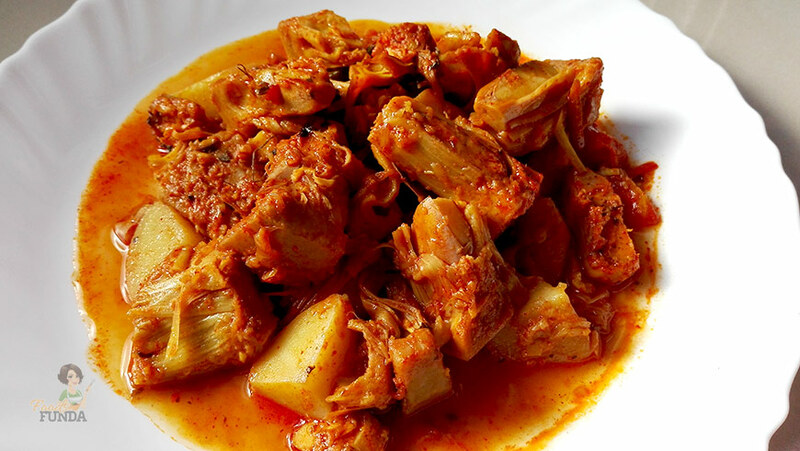 Jack fruit contains a high amount of carbohydrate and calorie that provides energy instantly. It is rich in antioxidants that protect from cancer, aging and degenerative disease. It increases immunity to protect against common diseases like a cough, cold, and flu. It has also been found to form a strong resistance against infections. 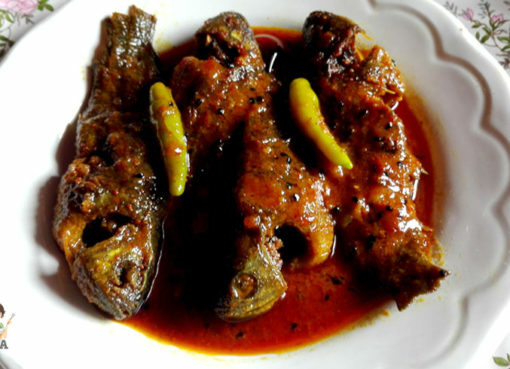 In Bengal raw Jack fruit are cooked in a rich, thick and spicy gravy, cutlet, kopta etc. The raw Jack-fruits can be bliss to vegetarians. 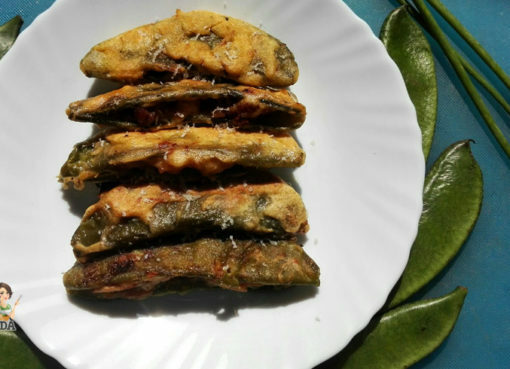 In this post I will share one of those dishes named “Echor Curry”. Hope you will like it very much. Happy cooking!! Wash the Echor pieces and mix with salt and turmeric powder and keep it for half an hour. Heat 1 cup of water in a kadai and add Echor pieces. Boil it for 6 to 8 minutes. Remove it from flame and drain the excess water and keep aside. Heat oil in a pan and fry potato pieces until becomes soft and golden. Take it out and in the remaining oil add Eachor pieces and fry for about 7-8 minutes. Take it out and keep aside. Add more oil in the pan and add bay leave whole Garam Masala (Cardamom, cinnamon). 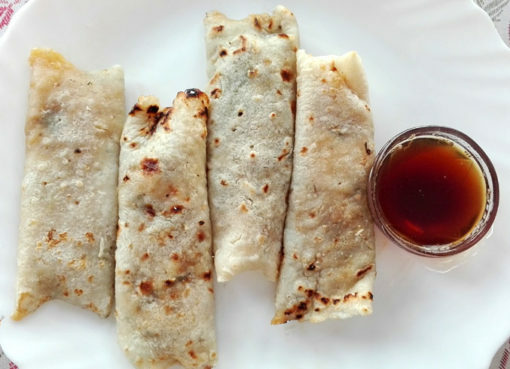 Fry for few seconds and add onion paste and fry it until becomes golden brown. Now add ginger, garlic and some salt and saute again. Add Tomato puree, Turmeric powder, Coriander powder, Red Chili powder and some Sugar. Saute the masala until oil gets separated. Now add fried Echor, fried potatoes and mixed well with the masala. Add 1 cup of warm water and cover it with a lid and wait for 8 to 10 mint. 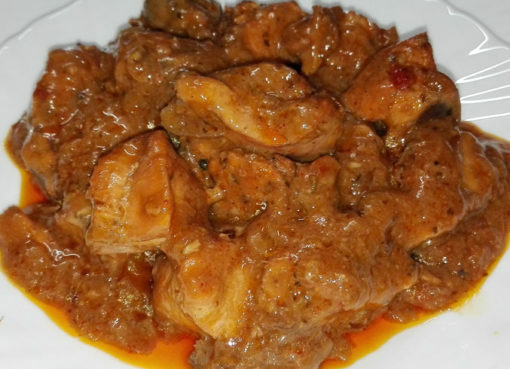 Now “Echor Curry” is ready to serve hot with steamed rice or Roti and enjoy this delicious “Echor Curry” item in Lunch or Dinner. 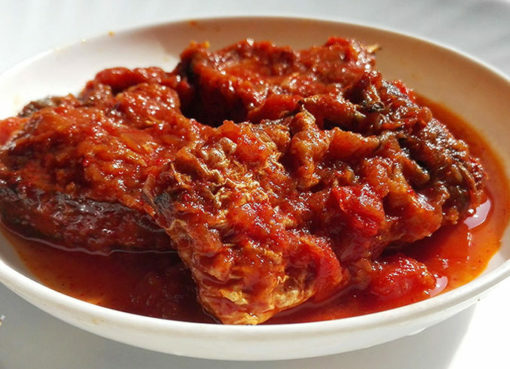 This traditional Echor Curry is super delicious, and you will really enjoy it with rice or Luchi. I loved it.